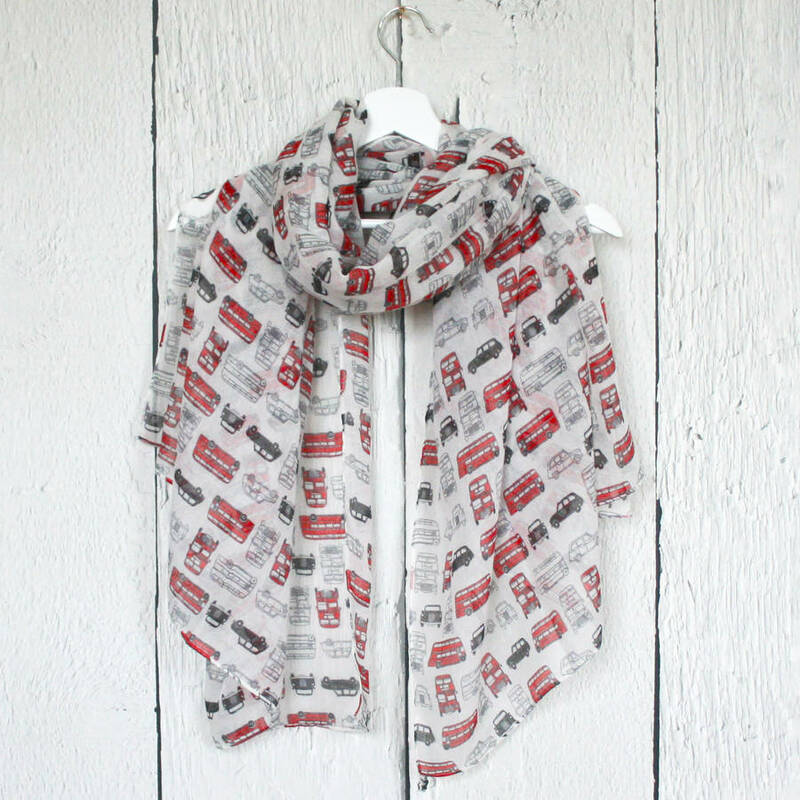 A fun and colourful lightweight scarf with a print of Black London Cabs and Red London Buses. 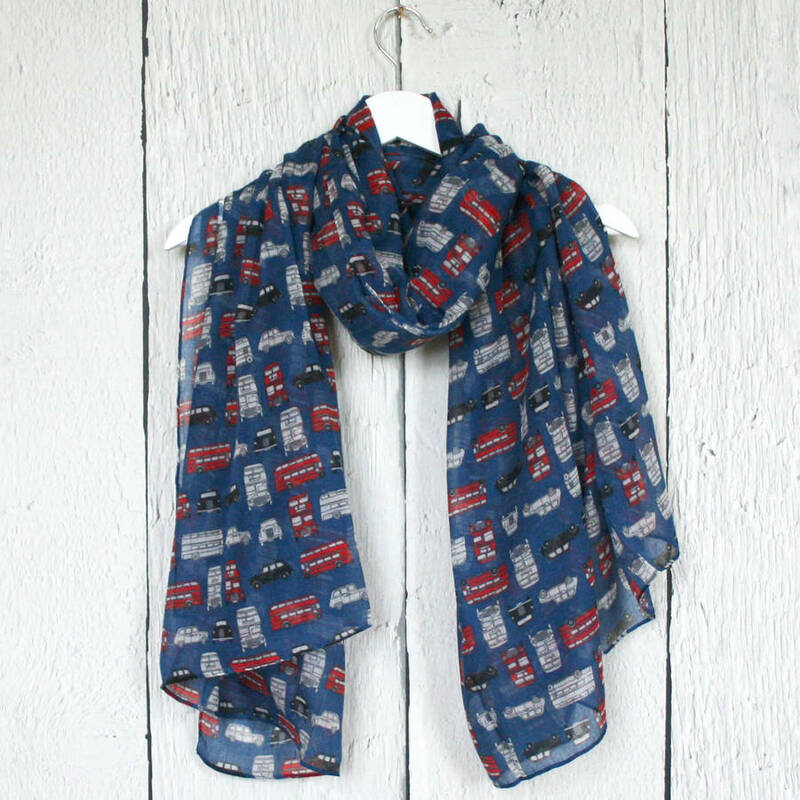 This quirky print scarf is made up of hand drawn Red London Buses and Black Cabs, repeated all over it, and comes in 2 fun and wearable colours. 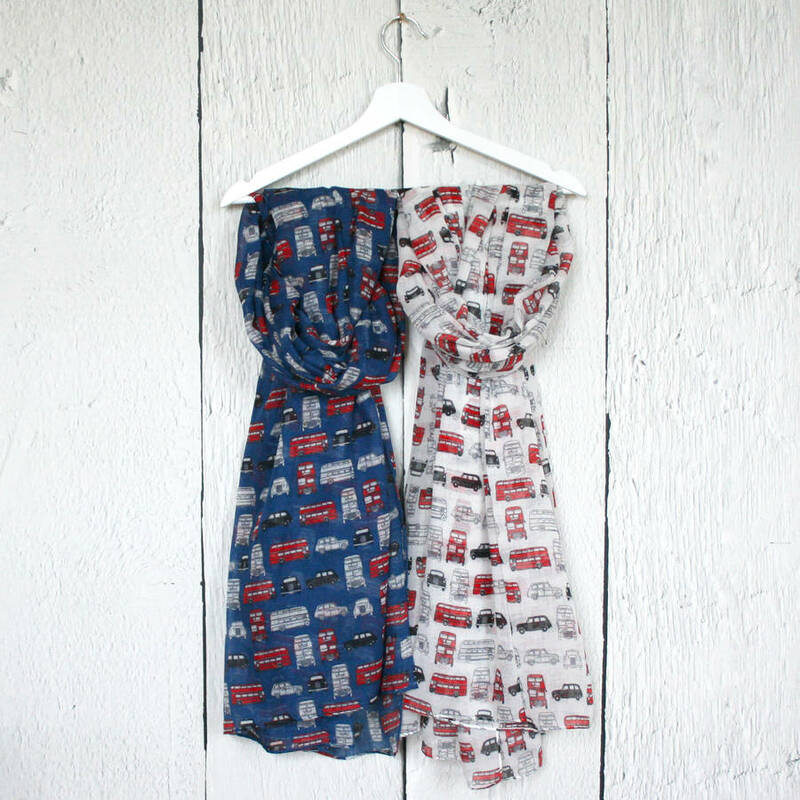 Please choose from the Navy Blue or White base colour. 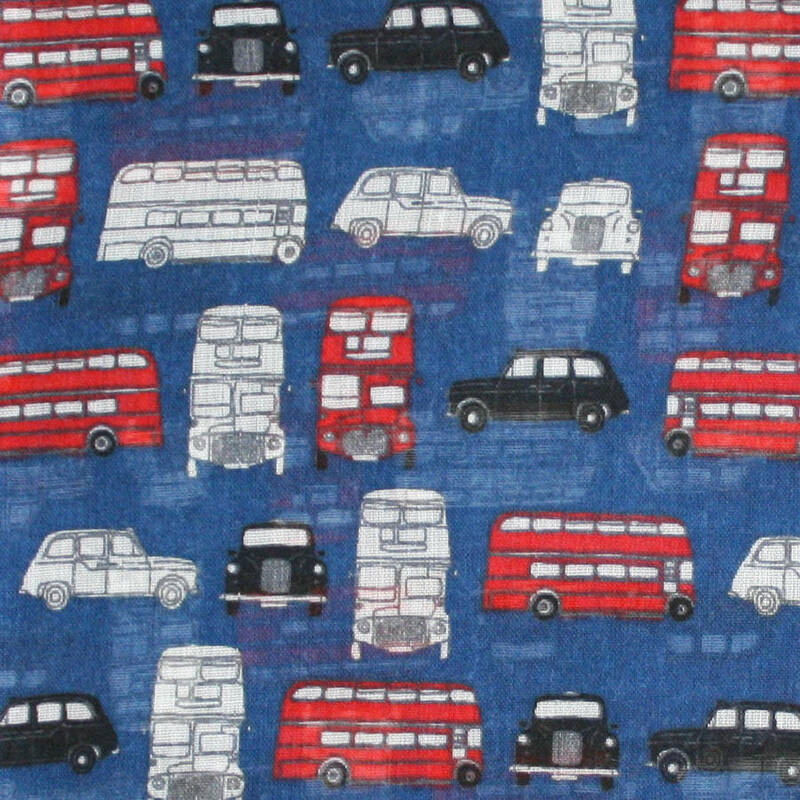 Both colourways have the same Red Buses and Black Cabs Print as hightlight colours. 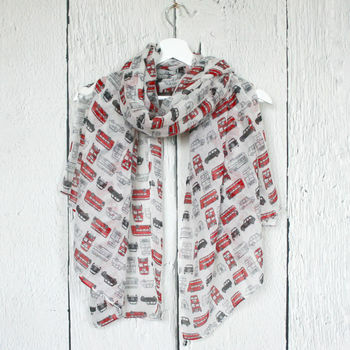 All scarves come gift wrapped in tissue paper or a stripy paper bag. 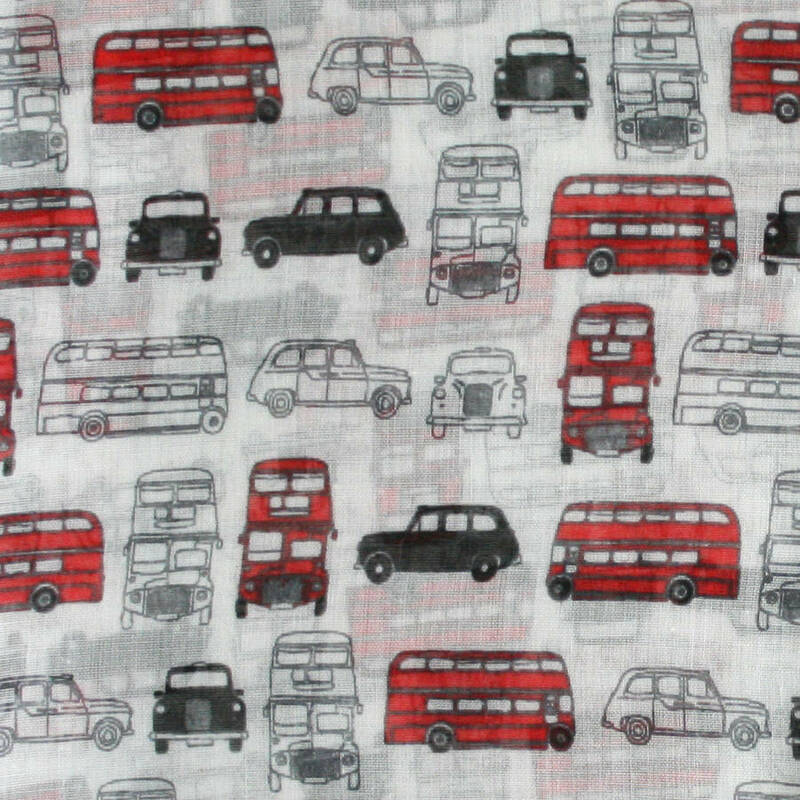 This generous and oversized scarf measures 100cm wide x 190cm long.